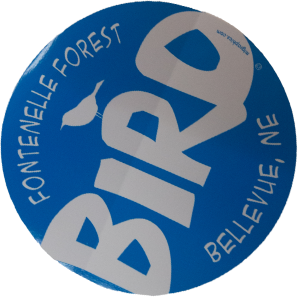 This invasive species is less than 2 inch long and slightly less wide when adult. These two specimens were less than 1 inch long. It has ridges on the outside. 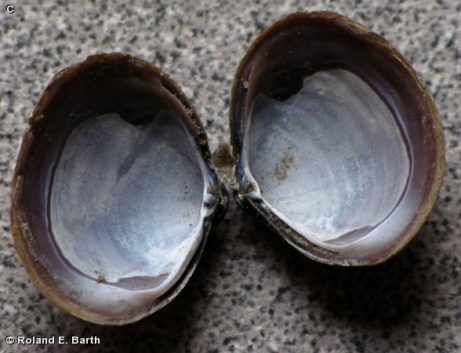 It was positively identified by Ellet Hoke, who is an expert on clams found in Nebraska. 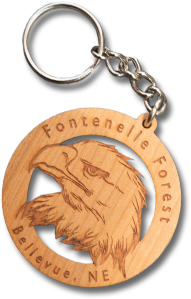 Ony two empty shells were found so far on land in Fontenelle Forest. 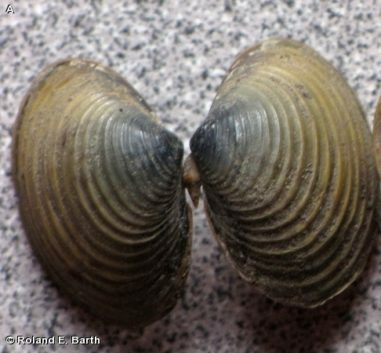 This invasive clam is known to have been documented at the Boyer Chute National Wildlife Refuge in 2006. They are found throughout the Southeastern U.S.. But they do not tolerate severely cold winters, so we are close to their northern geographical limit. 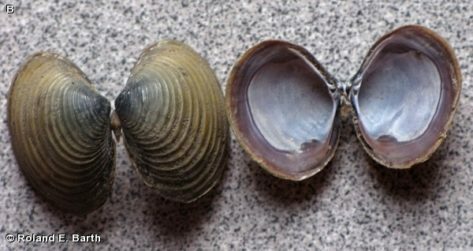 Two specimen shells were found in early Spring of 2012 in the silt/sand of the floodplain, probably carried in from the Gavins Point area where they are also documented, by the severe flooding during 2011. This clam is a nuisance because it can clog watder intake pipes.